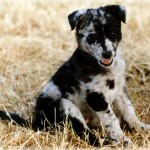 The koolie breed is an attractive dog and a hardworking dog that is born a worker in Australia. It is used in herding animals like cattle and sheep. It is of proportional body shape and medium size and is bred in order to meet the needs of the stockman, glazier and a farmer. The dog has stamina and is enduring. Also, the dog loves jumping behind the livestock and also the owner. Nowadays, its duties have increased to include service, sports and also as a companion. The dog is aggressive when it comes to tolerating new species. The dog is believed to have been imported by the immigrant European settlers from Germany to Australia. Its original name used to be German Coolie that has not stopped being used by majority. The dog is attractive, well balanced, and medium sized with some patches of colors and unusual markings. 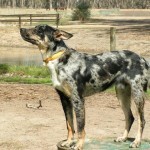 Otherwise, there is not much known about the dog regardless of the many theories circulating around about the Koolie community. Koolie is prone to few health challenges. The one with a white head is the likely to suffer more to hearing problems are also visual issues. Sun damage to in another issue to the white skin and this breed usually lives beyond fifteen years. 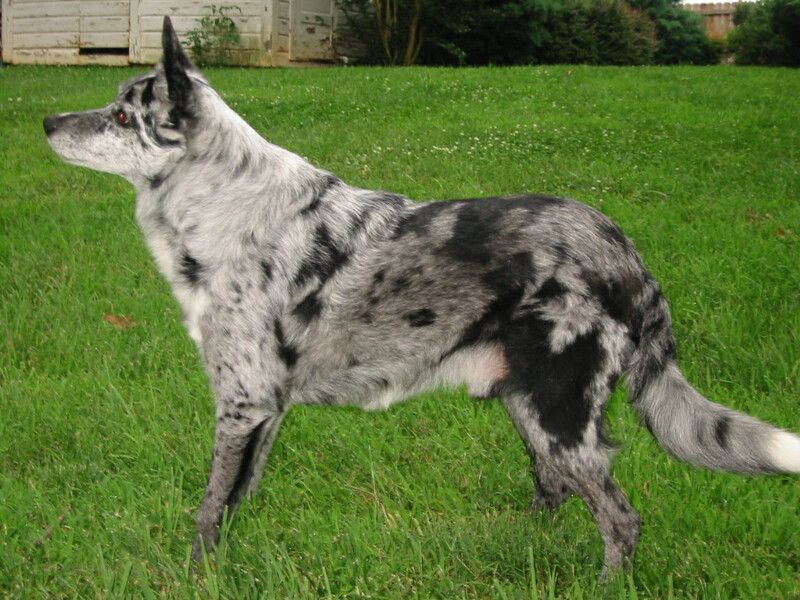 It is recommended that the safe option while considering breeding is mating of merle to solid. 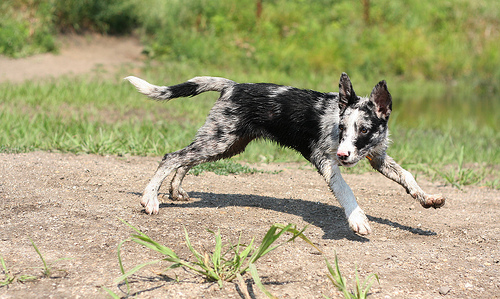 When it comes to personality, Koolie is naturally a hardworking dog. It has a strong working instinct. The dog is greatly active and intelligent. 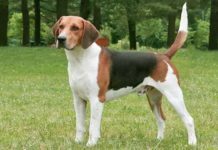 It is suited to yard and paddock dog and can participate in sports such as agility, and that is why they are advertised in televisions. The dog has a wonderful sense of smell and can detect any sheep that is ill lying that may be hidden in the grass at a given distance. 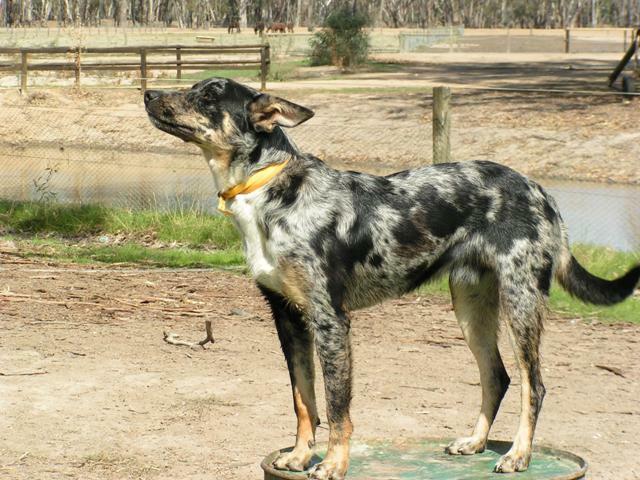 Koolie is an energetic dog that requires many jobs including regular exercises. This will keep the dog physically fit, and it is mentally healthy. It should be either involved in helping the owners or be taken to sporting competitions. The dog ought to be taken on daily walks or some jogging. While on a walk, the dog should heel behind or beside the owner because it will be directed by the actions of the leader. Otherwise this breed does not enjoy idleness and lying all day aimlessly long in the compound. Training this dog is simple. This is because the dog was born a worker and with high amount of energy hence it is always devoted to learning new things. Therefore, it needs an owner who is also devoted to train it well and guide it well. Punishments that are harsh should be avoided during the training session and instead rewards to be applied in order to keep motivating the dog and give it a positive attitude during training. It should be cheered up to keep it happy. Otherwise, it is cooperative in training. In regards to behavior, the dog is active and sometimes very independent He is very friendly, loyal with excellent herding instinct. 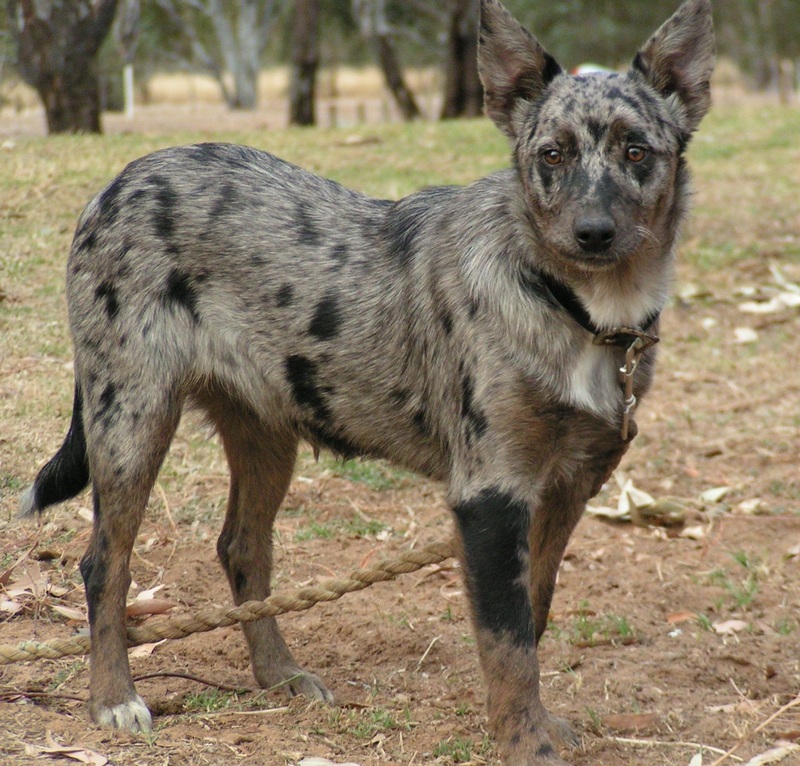 Koolie is a medium sized dog that is eye-catching and with brown eye color for the red one and black eye color for the black one. Its ears are pointed, and the fur is straight and is composed of a range of colors like black, dark-brown and chocolate. These dogs weigh between five to twenty pounds. In terms of height, they stand between eight and fourteen inches tall. 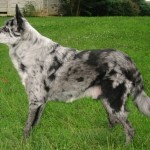 Its coat varies; it can be medium or short with mostly red and blue merle when it comes to colors. Solids are also evidenced, but the dark merle color is encouraged. 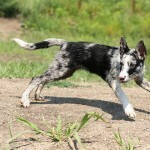 In regards to grooming Koolie, it is simple and requires little attention. The dog is an average shedder and therefore it needs to be brushed occasionally using a firm bristle brush. Also, it should only bathe when necessary. 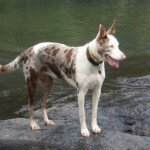 Koolie is a dog of medium size with a proportional body. This dog is active and a worker and, therefore, he grows with great appetites. Koolie requires minimal care. A bath when necessary and brushing to remove grass seeds in case present and also the long coated variety require more care. In addition, healthy exercises should be adhered to keep the dog strong and fit. 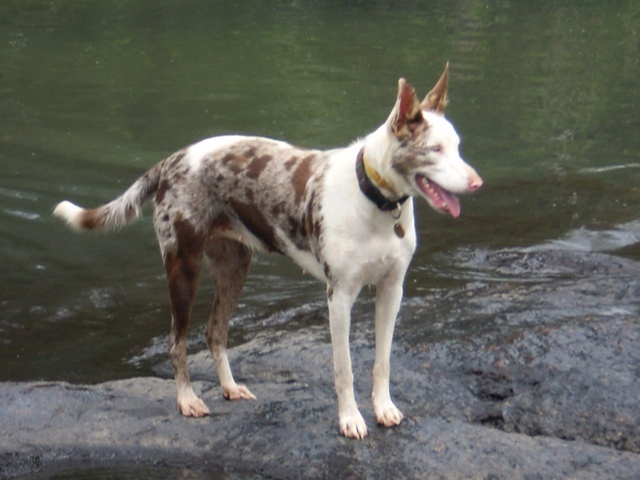 Koolie dog needs special diets that can help him to cope up with his high energy nature. Feed him with high-quality food. It should be fed with proteins and dry dog biscuit. Also, a supplement of meat that is bony is very crucial to the dog in order to ensure the teeth are always healthy likewise to the gums. The recommended daily food intake is 1 – 2.5 cups of quality dog food every day. Divide these meals into two daily.